When Nolie Standhope, set out for a summer with her scientist father in the Scottish village of Journey’s End, little did she know it would turn out to be a season of magic and mystery. But the tiny hamlet’s name might have portended the events that would unfold. At the center of the drama is the Boundary – the mysterious fog bank lurking offshore that Nolie’s father had come to study. Legend was that no one who entered it ever returned, until the day Albert Etheridge, did return a century after disappearing, not to have aged a day and with no memory of the last hundred years. 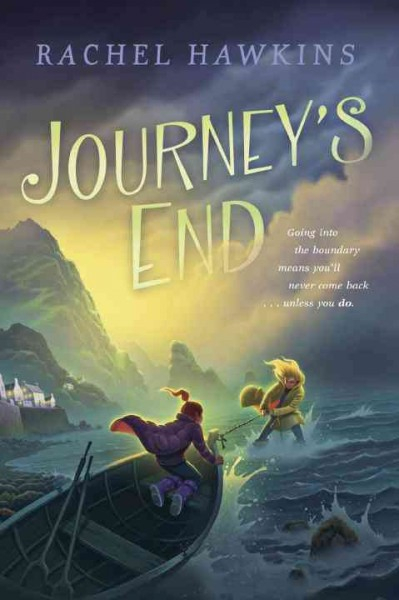 As the Boundary nears shore and threatens to consume the village, Nolie and her friends attempt to find the secret of the fog and change the course of events.